“I, sitting at my desk, could wiretap anyone, from you or your accountant, to a federal judge or even the president, if I had a personal email,” he alleged then. What strikes an outsider as particularly astonishing is the integration, user-friendliness and functional variety provided by the XKeyscore suite, as seen in the available slides (and its capabilities may have expanded significantly in the intervening years). The presentation makes XKeyscore appear little more complicated than a search engine – but one that can find almost anything. 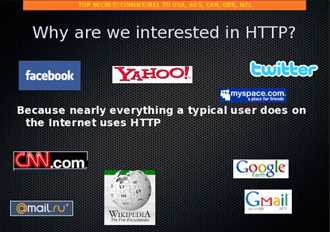 After the heading “What can you do with XKeyscore?” the slides outline ways in which the system can fish useful information out of the morass of internet noise. My target speaks German, but is in Pakistan, how can I find him? I have a jihadist document that has been passed around through numerous people, who wrote this and where were they? My target uses Google maps to scope target locations – can I use this information to determine his email address? The document then goes on to show that even basic facts do not need to be known to root out potential terrorists, with the system offering a nuanced analysis of “anomalous” behavior that makes a suspect stand out. Once information has been fished out, it can be categorized using a selection of plug-ins that index user activity, including all the emails, phone numbers and sites that suspect has come into contact with. While XKeyscore collects so much data that it has to be wiped within days, anything useful be stored on a smaller, though still sizeable database called Pinwale that keeps records for up to five years. 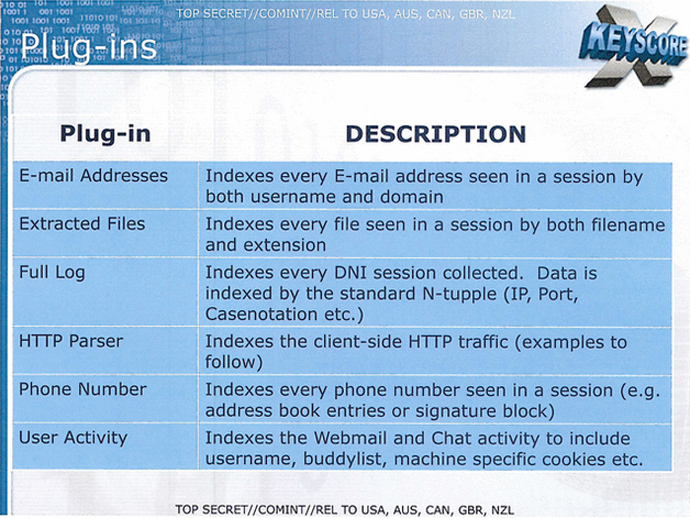 The presentation boasts that 300 terrorists were caught with XKeyscore in the years leading up to 2008. While Fisa regulations mean that US citizens can only be clandestinely observed with a warrant, the search does not always identify the nationality of those it spies on, and in any case, having a foreign contact is sufficient to expand the search to a large proportion of US citizens. And while they are not the stated target of XKeyscore, communications between ordinary Americans, whether those pass through domestic and international servers, are inevitably caught in the net. Technically, a person with access to the system could just as easily spy on an American within a few clicks, as they could on a foreigner, though this would be illegal. In last month’s Guardian interview Snowden insisted that there was nothing stopping this from happening. “It’s very rare to be questioned on our searches, and even when we are, it’s usually along the lines of ‘let’s bulk up the justification’,” he claimed. While NSA officials have admitted “a number of compliance problems”, which they say were not made “in bad faith”, they say the latest revelations are not proof that the system is illegal vulnerable to abuse. “Allegations of widespread, unchecked analyst access to NSA collection data are simply not true. Access to XKeyscore, as well as all of NSA’s analytic tools, is limited to only those personnel who require access for their assigned tasks … In addition, there are multiple technical, manual and supervisory checks and balances within the system to prevent deliberate misuse from occurring,” said the NSA statement.